It was a different time in 1916. It’s quite apparent that work attire has come a long way with workers. One today, with no knowledge of history, would think everyone was white collar workers. Casual clothing wasn’t much of an option during this time period. Some of the Ford Factory still stands today although it continues to fall into disrepair. It seems that most of the original structure in the Shorpy photo was torn down to make way for the shopping center that stands there today. The “current” photo shows the beginning of the larger part of the structure which can be seen further down the street. Not many of the buildings from the era on the right side of the road have survived. This may be one of the most historically significant properties in US history. 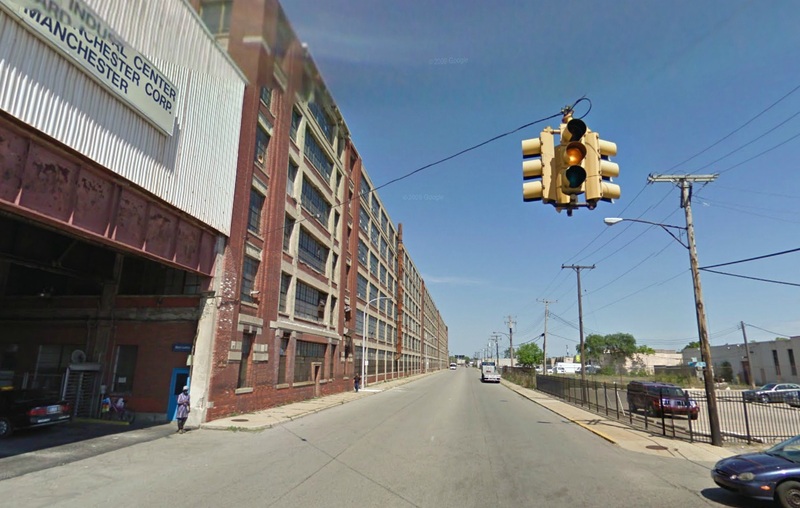 It’s a shame that Ford has failed to take a real interest in preserving the factory or office portion of this monumental campus in Highland Park. Detroit (Highland Park), Michigan, circa 1916. 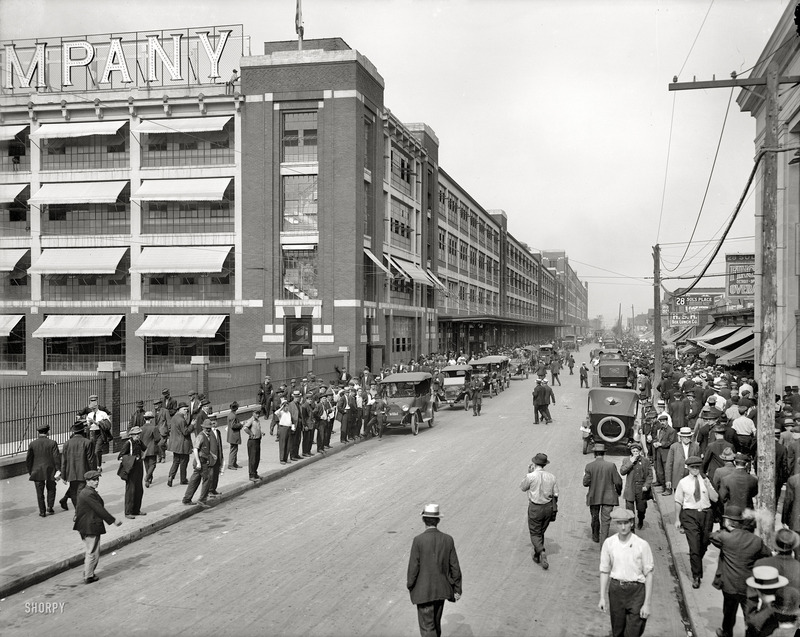 “Four o’clock shift, Ford Motor Company.” 8×10 inch dry plate glass negative, Detroit Publishing Company. This entry was posted in Detroit, Shorpy Saturday and tagged 1916, detroit, detroit publishing company, ford, highland park, shorpy, woodward. Bookmark the permalink.